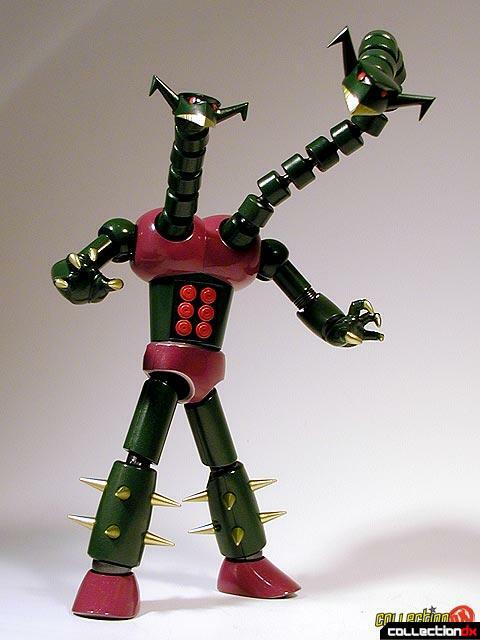 Doublas M2 is an enemy robot, or kikaiju, from the animated television series Mazinger Z. 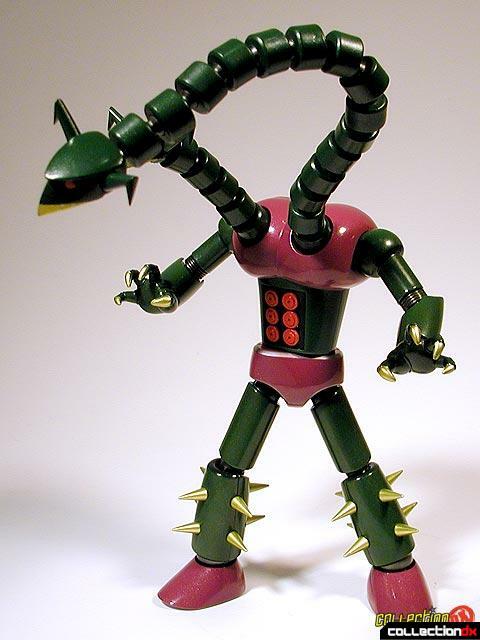 He, along with Garada K7, is the first kikaju to be made in the Soul of Chogokin line. 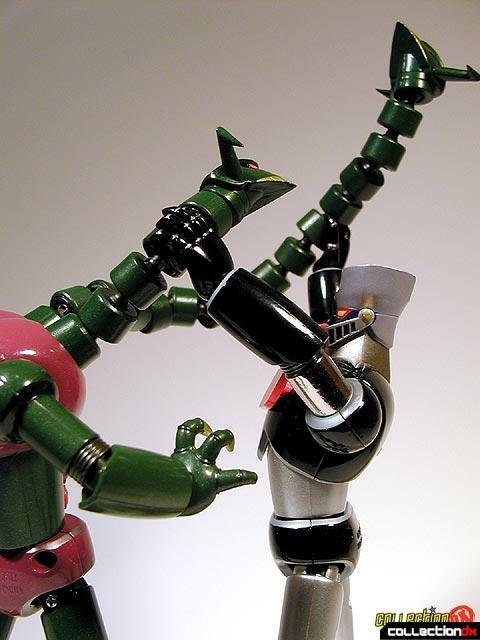 Doublas M2 shares a common body type with Garada K7 and Mazinger Z, using similar upper legs and arms. The rest of the parts are unique to this toy. Like Garada, Doublas features an all plastic chest, making him feel a little less substantial than previous Soul of Chogokin. This is a trend that I really hope doesn't continue. There is nothing in this design that couldn't have been made out of metal. 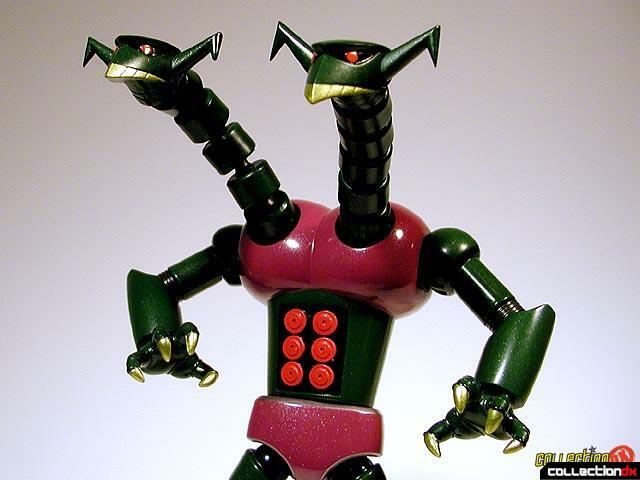 The main features of Doublas M2 are his articulated necks. Each neck segment is actually removable, so you can mix and match lengths to whatever formation you desire. The segments are tight, so you can achieve a variety of poses. Doublas comes with two sets of hands - open and closed, as well as small plug adaptors that allow you to attach them to the base. 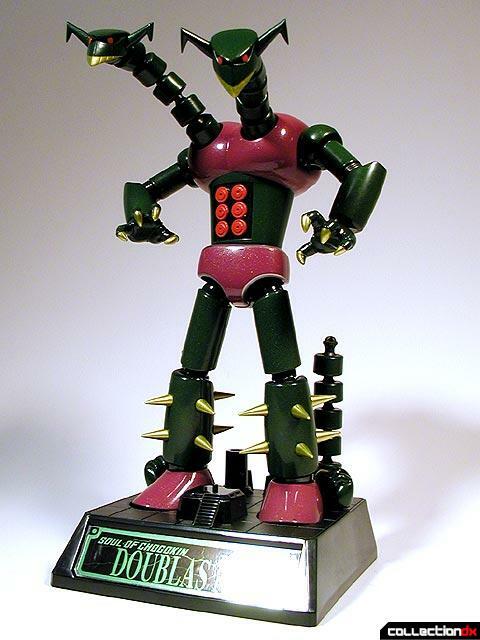 The base is the same as the one used on Garada K7, and OVA Mazinger Z. Once again, Bandai has given us a sticker to attach to the base instead of a nameplate. Doublas M2 is a great toy, if only for design and aesthetics. It doesn't really break any new ground, but if you like the character, get him. 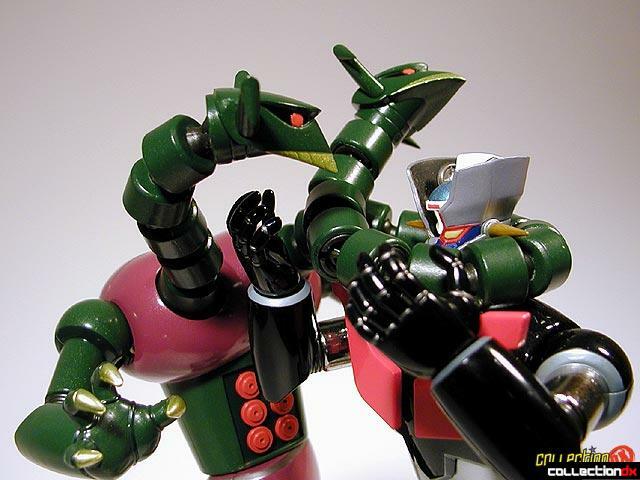 The bendable necks are fun to play with, and they toy is very sturdy. 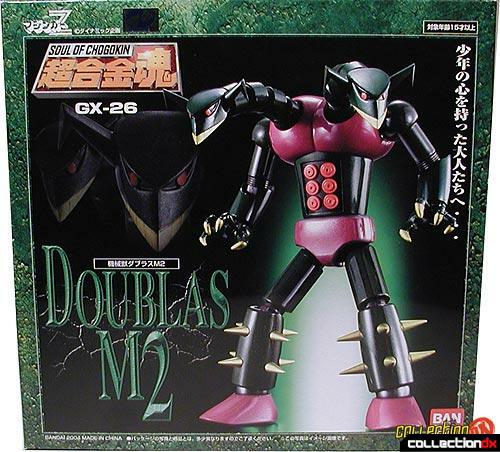 Doublas M2 was released December 2004, with a retail price of ¥5,250.